The pressure to get just the right thing for your special someone. The pressure just to have a special someone, even if it’s only for one day. It’s a holiday that is beloved by a few, hated by many and tolerated by the rest of us. Americans spend an average of $147 on Valentine’s Day, which begs the question: how did it happen? Are Americans in love with love, or is there some seriously awesome marketing going on? The answer, of course, is the marketing genius of a few key individuals who saw the opportunity to capitalize on the pain points that a lacey card or a heart-shaped box of chocolates could answer (or not). Somehow, in this tangled weave of Valentine’s Day, there’s a message out there that fuels the big spend. Your wife seemed just a little disillusioned when she heard that her friend received diamond earrings, while you only shelled out enough for flowers and dinner. Guess whose budget just went up for next year? Esther Howard: In 1847, Esther Howard received a fancy Valentine card from a friend in England shortly after moving to the United States. The daughter of a printer, Esther had a few pretty cards made and sent them out with her father on a sales trip. The actual orders far exceeded expectations and before long, Esther was running an assembly line with her friends in her home. Candy love: In 1822, Cadbury produced the first heart-shaped box of chocolates in England, where Valentine’s Day was a long-held tradition. In 1866, the U.S. contributed its own staple of romance, the conversation heart. Oliver Chase, founder of the New England Confectionary Company (NECCO) used vegetable dye to print words onto his confections. In 1894, the Hershey Company began manufacturing chocolate in the U.S., and in 1907 their famous Kisses made their debut. They wouldn’t be wrapped in pink and red foil for Valentine’s Day until 1986. Roses are red: In 1910, the Florists’ Telegraph Delivery was founded, suddenly leaving no excuse for not sending roses on the big day. In 2013, Uber found new channels for its fleet of drivers, allowing users to simply choose the color of roses they’d like delivered the same day. For all those forgetful types, Uber’s got you covered. Upping the ante: In 1948, cash-strapped men everywhere must have groaned when they spotted the De Beers’ ad when it first appeared with the tagline, “A diamond is forever.” The symbol of the diamond as an expression of everlasting love gave it a boost on the most-coveted Valentine’s Day gifts list. In each of these examples, from Esther Howard to FTD, someone recognized a place to offer value or answer a challenge. Whether it was ready-made cards for sending or a way to tell someone “my love is as permanent as pressurized carbon,” people found great ways to market expressions of love. Are you looking for some new marketing opportunities? 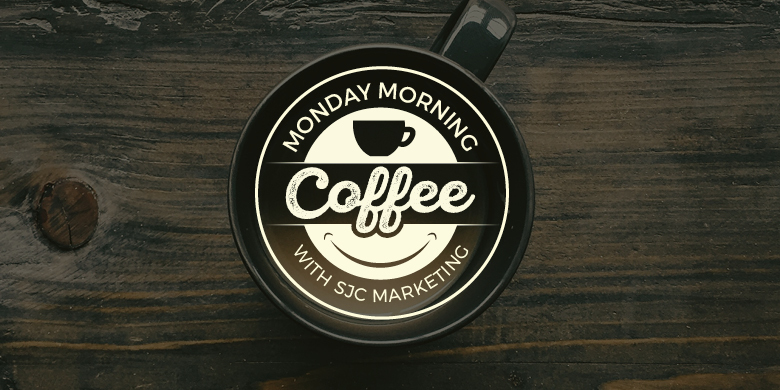 Contact us for an appointment today at SJC Marketing. We’re pretty busy doing field work for this article, trying on diamonds and stuffing chocolates in our mouths, but as soon as we figure out how much love we can buy, we’ll get brainstorming started for your brand!